Part of me wants to get outside my wheelhouse and talk about the Iowa Democratic Party’s performance during the just finished midterm elections. Part of me does not. After the last presidential election I had some specific ideas about how the Iowa Democratic Party should be blown up and re-built: eliminate Iowa’s first in the nation presidential caucus, reduce staffing, work toward better communications, and so on. 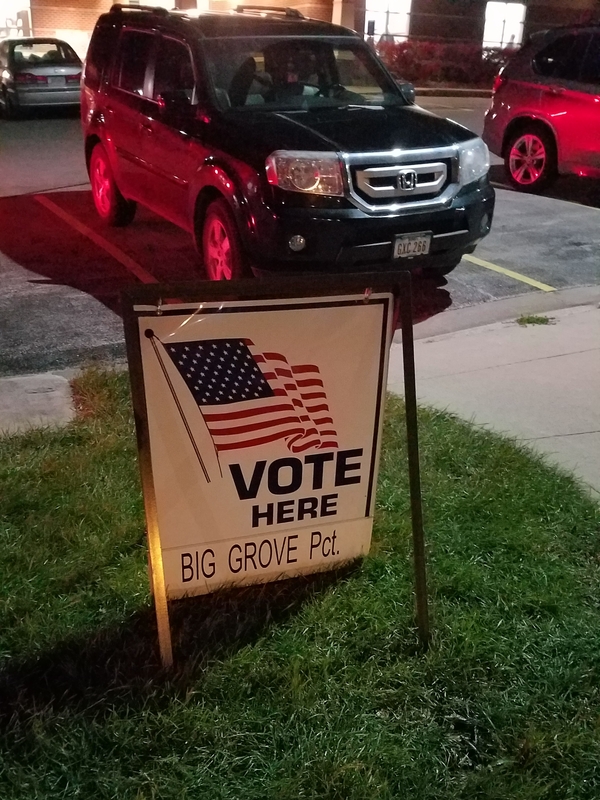 Under Andy McGuire’s leadership the party drifted and Republicans eclipsed Democrats in Iowa by their support of the current president and their down ballot candidates. The sorry times will continue in the 88th Iowa General Assembly as they retained control of both chambers of the legislature and Terrace Hill. I have just a few points to make. I met IDP chair Troy Price, during the Obama campaign. I’ve always liked Price although I don’t know him personally. Democrats didn’t want for resources during the midterms and that’s attributable to him. Price made a worthy effort to be inclusive, appearing across the state in a multitude of events and meet ups. He worked to let the grassroots organization in counties lead. We’ve had diverse chairs and Price is the kind I like to see. Unlike McGuire, he knew the grassroots issues with IDP and worked to address them in his leadership. In Janice Rottenberg the party hired an experienced political consultant to lead Campaign for Iowa and, from my perspective, the effort was solid, laser focused on very specific objectives proven during the Obama campaigns: identify and turn out infrequent voters and expand voter registrations. It was a little annoying to be asked to “volunteer” up to a half dozen times each time I entered a local CFI office. When I did offer to volunteer, in my precinct, or at the office, such offers didn’t fit the very specific niche they were trying to fill, walk and call shifts. Rottenberg was largely unseen during the midterms but her fingerprints were on everything. Strict and focused discipline is what IDP needed to get us back to being competitive in the state. Janice Rottenberg delivered. The majority of my volunteer work during the midterms was writing walk and call lists for the House District 73 campaign of Jodi Clemens. Clemens decided to use Vote Builder to track our canvass effort. My first experience with Vote Builder was in 2004 and it’s come a long way. The tool is user friendly and useful to campaigns operating on a shoestring budget. Once we got through the getting to know each other phase of our relationship, I worked well with IDP information technology staff and we had reasonably accurate information with which to work. This technology contributed significantly to Clemens’ achievement of winning 6,330 votes, a 57 percent increase over the performance of the last Democratic candidate to run for the seat in 2014. Vote Builder is something IDP does well. During the Democratic primary candidate John Norris repeatedly said the process of Democrats regaining strength in Iowa would be a multi-cycle effort even if we won the governorship or one of the legislative chambers. That remains true. Were the midterms a success for Democrats? How responsible is IDP for the results? It’s hard to call them successful with Republicans maintaining their trifecta of control. All the same, statewide voter turnout at 61.0 percent, according to the Iowa Secretary of State, is much better than the 53.3 percent in 2014, the last midterm election. Increased voter turnout is partly attributable to reactions to politics in Washington D.C. and in Des Moines. The Democratic part of it is due to a concentrated, focused effort on the part of the Iowa Democratic Party under Troy Price. If Iowa Democrats will get more control of our government, the work of specific campaigns like Campaign for Iowa will remain important. However, there is a broader, cultural picture here. One that is beyond the scope of a political party. I continue to believe the best thing Iowa Democrats could do would be deny Republicans their key organizing tool and eliminate the presidential caucus. It’s not a popular position, but I believe it is a substantial part of the remedy Democrats need to regain political control of Iowa. And no, I’m not deleting my account as some have recommended after hearing my position. Well done in the midterms Troy Price and the Iowa Democratic Party.